Let's get right into it folks... When you are in the market for buying a vehicle, look no further than right here! Our auction is much different than your average car buying experience elsewhere. There is no high pressure sales team, no lengthy contracts, and no pressure. Right below are 4 main reasons we encourage you to purchase at our auction! 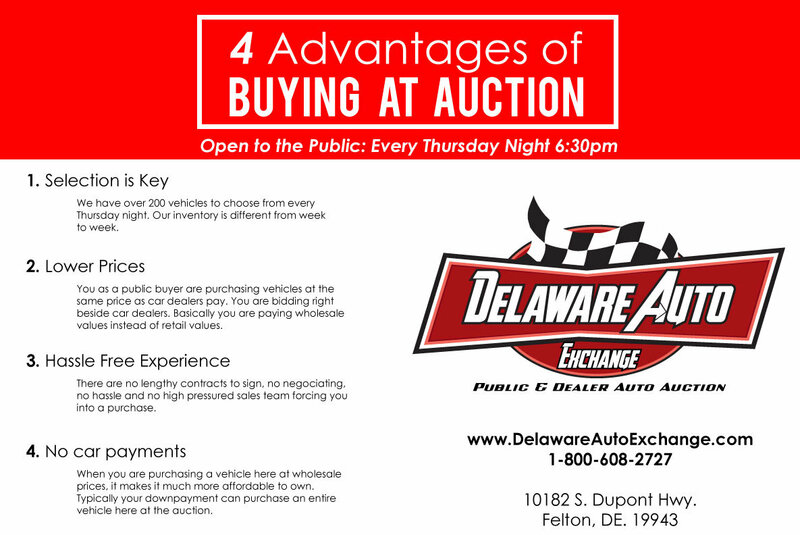 Copyright © Delaware Auto Exchange. All rights reserved. All trademarks property of their owners.